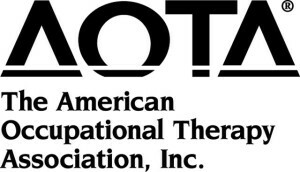 Established as far back as 1917, The American Occupational Therapy Associationis a professional body that addresses the interests and concerns of practitioners or students within occupational therapy to help improve the quality of these services. While primarily American, it is proud to have members all over the world, consisting of therapists, assistants and students, all working together to improve the access to health care services for consumers, while helping their members professional development. AOTA not only provides resources to meet these goals, but also set the standards to ensure high quality, standing in as an advocate for the improvement of health care. Regarding Tenura and our dealings with AOTA? Well this will be our second year at their annual conference and expo, located at the San Diego Convention Centre, in California, running from Thursday the 25th until Sunday the 28th of April. We will be exhibiting alongside our exclusive distributor of Tenura in the US, Maddak, one of the largest retailers of daily living aids in America. Judging by the success of last years exhibit, we can be sure that, with our recent updates, we will have much, much more to again catch the attention of visitors to the AOTA conference. During the welcome ceremony, between the hours of 4 and 5.30pm, Aron Ralston, Adventurer and subject of the film ‘127 Hours’ which stars James Franco, a film based on Aron’s unfortunate experiences while canyoneering, where he had to amputate his own arm to free himself from a boulder that trapped him. Ralston will be one of the keynote speakers, and will talk about that experience and occupational therapies role in his recovery. If you haven’t seen ‘127 hours’, I would recommend it highly, it’s a truly excellent movie. We will be monitoring all the usual channels as best as we can ( I am in the UK, so the time difference is quite large ), but still, we will be Tweeting before the event too, so please let us know if you will be in attendance, and I will keep people up to date with where our stand is. It would be great to see you all! Posted in Exhibitions and tagged 127 hours, 2013, AOTA, aron ralston, california, conference, exhibition, expo, maddak, san diego, tenura on 23rd April 2013 .